Dear Jessica – I was in trial the morning you were born. So I told the judge I would be missing court. Glad I did. I do not want to miss a minute of your life. Thanks for letting me in as much as you do. We don’t talk about this but I notice how patient you are with me. So thanks for ignoring the times I forget to downshift when we stop, making it hard to restart; the fact that I am practically illiterate about social media; and the fact that I ruined our Ipod by washing it with the clothes. And thanks for your passion for justice. In Ferguson you spoke up for the youth voice eloquently and effectively. You are challenging the status quo and making a real difference in young people’s lives. It is exciting to behold. As we shared the Michelle Obama and Ken Burns commencement speeches, This American Life podcasts, Audio Books like, “The Divide,”, Mark Twain’s “Life on the Mississippi,” the Blues and other music and then discussed what we were learning, I was always impressed by your thoughtful perceptions, your curiosity, your affirmation of the dignity in all people. Of course there were many hours when we could not talk. What we were doing was often so damn hard with the wind, rain, gravel, hills, dogs and trucks. But you are tough. Physically, mentally and emotionally. You do not whine even when fire ants are attacking you in the middle of nowhere. And you have humor. All you got at the end of our marathon 113 mile day was cold pizza and a moldy shower. And you laughed. Mimi and I are truly lucky to have you, Ben and Adam as our daughter and sons. I love you. 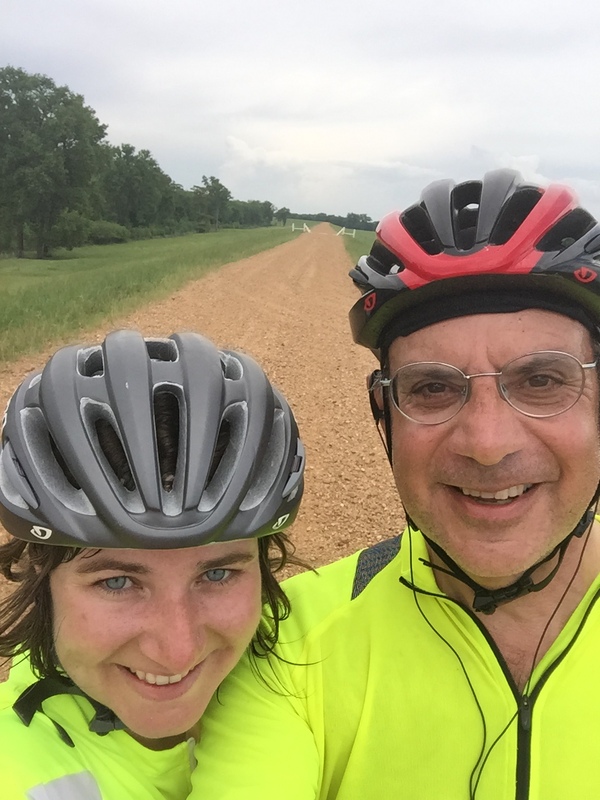 Thank you for pedaling justice with me “to the end of the world.” Love, Dad. A remarkable tribute to a great team.